It's been almost a year in the making, but all good things take time, like fine wine, right? Finally, finally FINALLY, reciclaGEM will be traveling over the borders of the boroughs into the midwestern hallmark of Flint, Michigan. Not a vacation spot you say? Well, let me tell you a little something; Flint, Michigan, under the moniker of the "vehicle city," is the birthplace of General Motors and a number of other car companies that have made a tremendous impact on this nation's cultural and transportation fabric. Without cars and conscious reenvisioning of how people move from place to space, a reciclaGEM roadtrip across the nation would be a tad bit difficult, to say the least. Long story short, at a conference at Parsons (New School- what what!) on Art Education in America, I met Stephen Zacks, the master-mind and pioneer behind the Flint Project, an intercultural, international, and inter-vocational endeavor to coalesce the forces of artists through the nation and the world with Flint-based artists and activists to replan and reimagine the city. The events of the Flint Project, a series of architectural constructions, city remapping, and guerilla-style, avant-garde street performances will commence this upcoming Fall in honor of the centennial of GM. This summer, the artists of the project will be making a series of preliminary visits to learn the lay of land, meet the artists and activists in the city, and see what creative collabos can be had. This upcoming weekend, reciclaGEM will be memorializing the nation by making the first of these site visits. 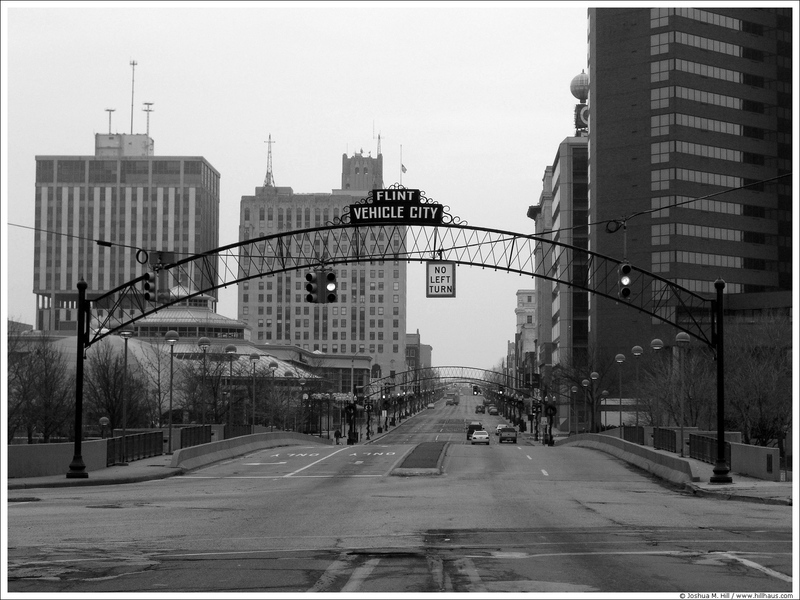 Alongside the fabulous Kat Soutar, the incredibly talented photographer of my site's header image, as well as all of the Vegan Jam show shots, I will be traveling the region of Flint, Detroit, Toledo, and surrounding areas. Along the journey, we will be collecting Flint and Midwestern thrift, cutting it up, and splicing into industrial urban landscape in a series of fashion test shots. So if you are in MI for this upcoming Memorial Day Weekend, call me! We'd love to do some magic together!